One of our services here at Hired Power is providing case management for alternative sentencing and court reporting. Many people find themselves in recovery for the first time by the hands of the law. After being arrested and convicted for charges related to intoxication, destruction of property, possession, driving under the influence, or other related issues, they are sentenced to sobriety. More specifically, they are given an alternative. What judges in drug courts do is they save lives. Instead of sending another person with a drug and alcohol person to jail where there is not as much clinical support as needed, they are given alternative sentencing which is the opportunity to attend treatment and stay sober for thirty to ninety days. Relapse is common, but so is success within recovery. Given the chance to recover and heal, many find that their alternative sentencing was the lifesaver they needed. Willingly, they grabbed a hold. 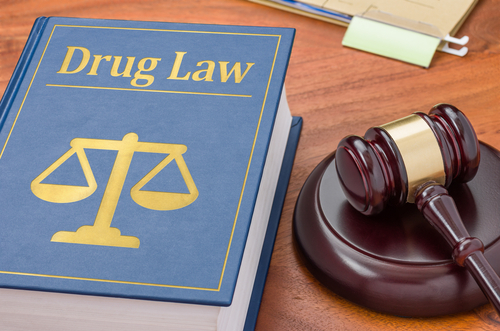 Drug courts are separate from regular judicial courts. Not everyone who asks to be sent to drug courts will be given the fact. Like many things, drug courts rely on government funding and can often struggle without support. Assigning the convict to treatment, the judge decides how long they will need to be in treatment in order for it to be effective. Often, the judge asks for an entire year of sobriety, from detox to long term care programs with mah transitional phases. On top of attending treatment and staying sober, there are some other requirements. For example, regular and random drug testing to be sent in is a common requirement. Hired Power works with laboratories all over the country to help your loved one stay accountable in their sobriety and to their court reporting after treatment. Judges may call upon their subject for review. If someone is in treatment, that might mean traveling back home to appear at a court date and talk with the judge. Hired Power is available to provide safe transportation services to and from treatment to ensure there are no slip ups en route. Personal recovery assistants can support the planning and execution of going home for court dates, as well as coordinate testing while home. Some drug courts have their own treatment programs while others refer. If you or a loved one have receive alternative sentencing and need a plan for treatment, Hired Power is here to help. Our recovery services provide support every step of the way through treatment. For more information call us today at 800-910-9299.